Page : Detroit’s Newest Park Rising! 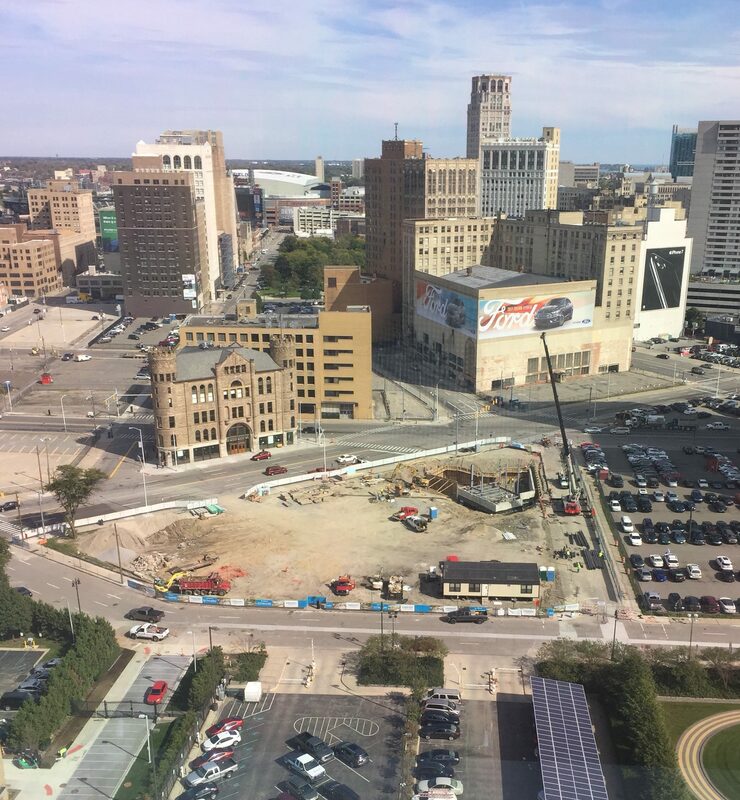 Progress is being made across the street from DTE Energy’s Detroit Headquarters on Grand River Public Space. Steel is going up for the restaurant building anchoring the Cass Avenue and Grand River Avenue corner of the park. Look for continued updates as the project progresses toward a Summer 2017 opening. Prev - Welcome Lauren Hoffman!